What I really like about BC is he speaks and understand English, so we don’t need a professional programmer. […] It only took us a few days to get to know each other, and now it gives me any fact I need in seconds. Question: In what way could the Sperry Univac BC-7 computer "speak and understand" English? How was this different from previous computers? From the perspective of today and looking backwards to the use of language in this commercial we apply different semantics than would have been perceived at the time. The same is true when interpreting anything historical - we just don't expect it to apply to something (relatively) so modern and contemporary. Barnett, M. P. (1969). Computer programming in English. Harcourt, Brace & World. Barnett, M. P., & Ruhsam, W. M. (1969, May). SNAP: An experiment in natural language programming. In Proceedings of the May 14-16, 1969, spring joint computer conference (pp. 75-87). ACM. Barnett, M. P., & Ruhsam, W. M. (1968). A natural language programming system for text processing. IEEE transactions on engineering writing and speech, 11(2), 45-52. Barnett, M. P. (1970). SNAP—A programming language for humanists. Computers and the Humanities, 4(4), 225-240. Chamberlin, Donald D; Boyce, Raymond F (1974). "SEQUEL: A Structured English Query Language" Proceedings of the 1974 ACM SIGFIDET Workshop on Data Description, Access and Control. 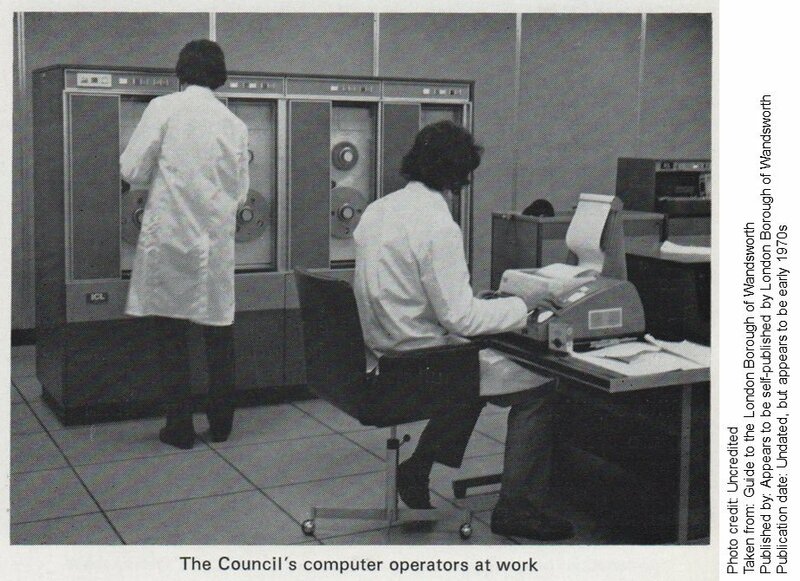 Association for Computing Machinery: 249–64. So at this time, any interactive command interface that used English verb/noun constructs was understood to be "Understanding English" and the advertising copy-writers pushed it as such. I had interactions with Sperry at about that time and I am sure they felt they were including some state-of-the-art interfaces with their systems to make them business useful tools, but I'm sure Grace Hopper felt the same about COBOL. From today's perspective none of this looks like using or understanding the English language on the part of the computer. * It took me a while to dig through my archives and look at the old thesis and papers again. Certainly that machine does not "speak english"; that is a very hard problem that computer scientists struggle with even today. They cannot both be true, given what we know English to be. But of course, it's vague marketing speak for "use English-like words to instruct the computer". The System Control Language is used to operate the BC/7. SCL commands are simple English verbs that specify programs to be executed and identify the files to be used. So the guy on the advert typed in "inventory" at some prompt, and the computer displayed the inventory. And that is believable. Not the answer you're looking for? Browse other questions tagged software operating-system or ask your own question.